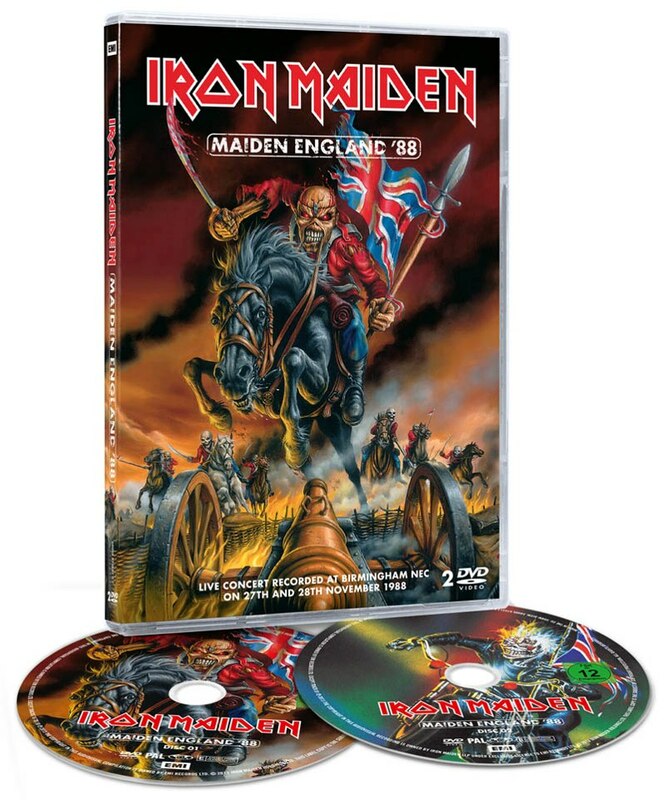 Iron Maiden will release the double-disc DVD “Maiden England ‘88” on March 25 (UK; March 26 in North America). As well as the VHS stereo sound track by Martin Birch, the band’s producer between 1981 and 1993, the DVD also includes a brand new 5.1 audio surround mix by Maiden’s current producer Kevin Shirley. The "Maiden England ‘88" concert soundtrack will also be made available on 2CD album, Limited Edition double vinyl picture disc and Digital Download formats.